and still doing to my family. speechless on seeing me and my daughter.I saw confusion written all over her. my ordeal with mady to my mother. She cried bitterly and thanked God for saving my life. daughter and that i should get out but to my greatest suprised. I would never give him my daughter. sure i didnt include prince and Ona into the story. She was handcuffed and held in custody while her house was searched. house has reduced.I sought for Ona but i didnt see her. two girls in different rooms were found. hostages were shown to everybody. At the end of everything.The land case was dismissed.Victory belonged to us. great daughter.I was so happy. her that everybody must reap what he or she sows. away.The court will have to go and lock her house. with another lady called Ona. start up a good business. On getting home one day,i saw Nnamdi waiting for me. to take away completely from me. marriage almost ruined my life but i was successful in the end. CONFESSION OF A TEENAGER comes up next while BELINA comes up in the evening. 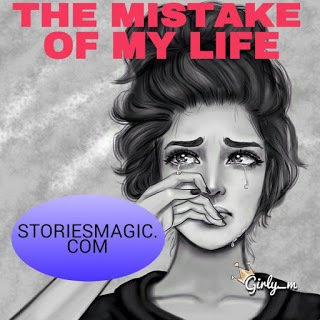 0 Response to "STORY:THE MISTAKE OF MY LIFE (The Final Episode)"